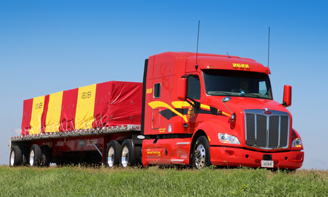 When you drive for Decker, you’ll enjoy competitive pay, excellent benefits and a driver-friendly environment that emphasizes respect, family values and quality time at home. 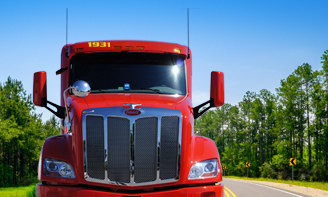 We offer a variety of geographic territories for both reefer and flatbed professional truck drivers. Plus, you’ll enjoy some of the best equipment on the road. 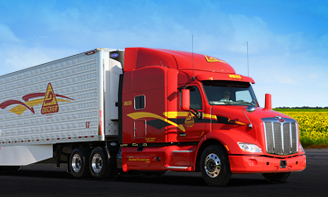 Like to get more details on the advantages of driving for Decker? Just call us at 888-515-9427 or click Apply Now. You’ll find yourself traveling 2,300 to 2,500 miles per week throughout America’s Heartland. Home time options vary depending on where you live: get home every 12-14 days in some areas, other areas will get you home weekly. 1¢ Annual Pay Increase until cap is reached. 1¢ per mile increase after first 90 days of employment. Base mileage pay will be increased according to the following graduated scale for loaded miles less than 400 miles in length. In order to qualify for the additional mileage pay, the total loaded miles must fit the below scale, split loads will not qualify. 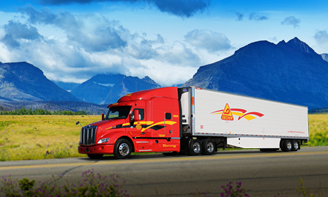 If you’re looking for an OTR position, our Western Reefer division is calling your name. 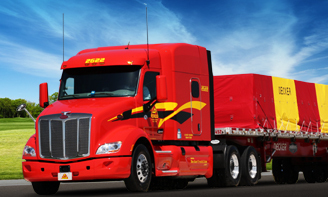 This is our only true OTR division, running the 48 continental states and averaging 2,600 to 2,800 miles per week. More than 70% of the runs are west of Ohio. Flexible, reliable home time every 2 to 3 weeks. Starting Pay Range $.41 - $.48 per mile – includes $.10 per mile per diem. Hauling mostly steel and building products, you’ll be running through the Central Midwest averaging 2,100 to 2,200 (home weekly) or 2,300 to 2,400 (out 14 days). Starting Pay Range $.47 - $.54 per mile – includes $.10 per mile per diem. If you’re looking for outstanding starting pay and an average of 2,600 to 2,800 miles per week, look no further than our Southern Flatbed division, based out of Bessemer, Alabama. Like our Midwest Flatbed fleet, you’ll be hauling mostly steel and building products. Flexible, reliable home time every 2 to 3 weeks. Looking for a gig close to home? The majority of our local loads are hauled within a 250 mile radius of Fort Dodge with the occasional backhaul. Find yourself home at night and every weekend. Talk to a recruiter to learn about our other dedicated and local opportunities. Starting Pay - $.41 per mile – no per diem. 1 year minimum of driving experience and must meet minimum hiring stands. Want to drive with a friend? Our teams not only assist with delivering tight loads in a timely manner, but many of our teams are in a mix of dedicated reefer freight with consistent and steady miles. * Bonus miles (all miles over 12,000 per month) will begin to calculate at the start of the first full calendar month of employment. Short Haul Pay – Base mileage pay will be increased according to the following graduated scale for loaded miles less than 400 miles in length. In order to qualify for the additional mileage pay, the total loaded miles must fit the below scale, split loads will not qualify.